If you give me a choice between pumpkin and sweet potato pies, I would definitely pick the latter! 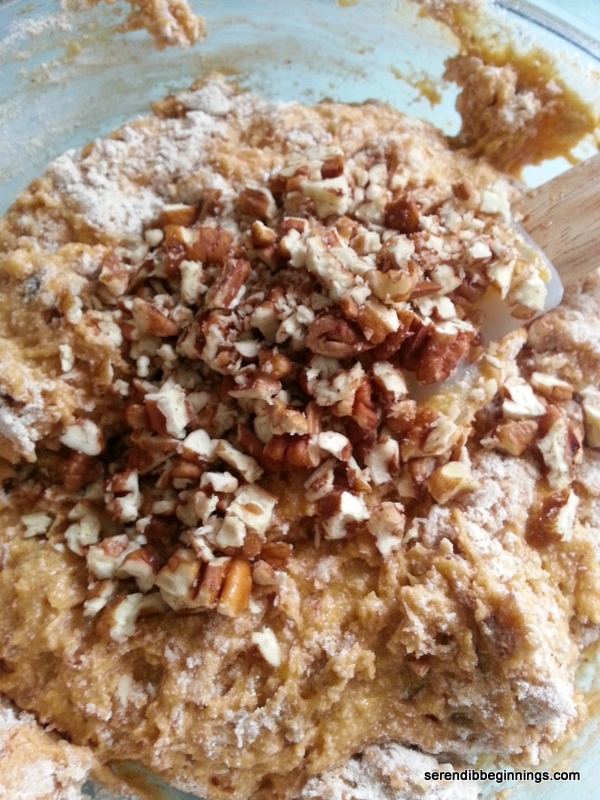 Not that I don’t like pumpkin, but more like I have a little more love for sweet potato. I enjoy them so much that I can happily enjoy a bowl of plain roasted sweet potato – with absolutely nothing added in! Sweet potato takes on a whole new flavor dimension and sweetness when you roast them in the oven. You simply scrub and wash them, wrap them in pieces of foil and bake for about 45 minutes at 375F. Voila! You have divinely flavorful bright orange spuds with caramelized sugars oozing out of them!). 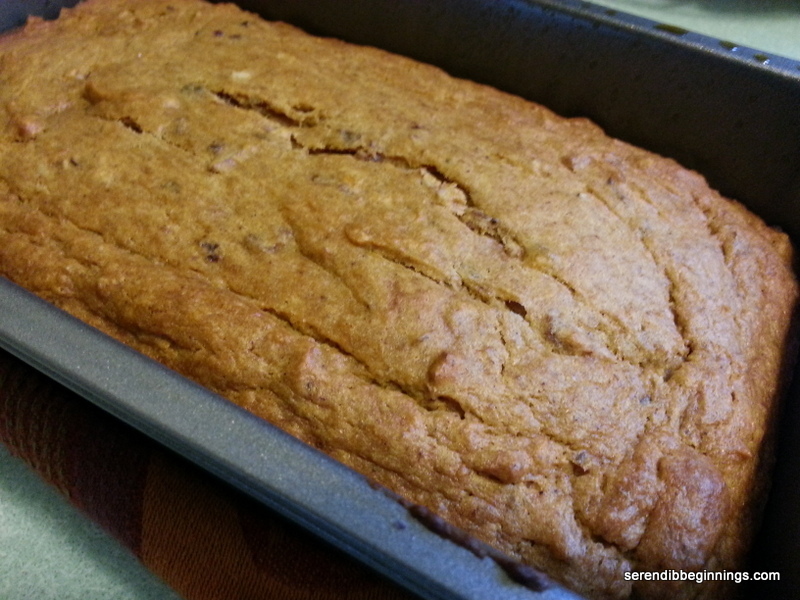 Roasted sweet potato can be used in soups and other dishes, but I chose to make a quick bread using them. Yes, you can certainly substitute canned version, but as you can imagine, oven roasted spuds taste far superior! 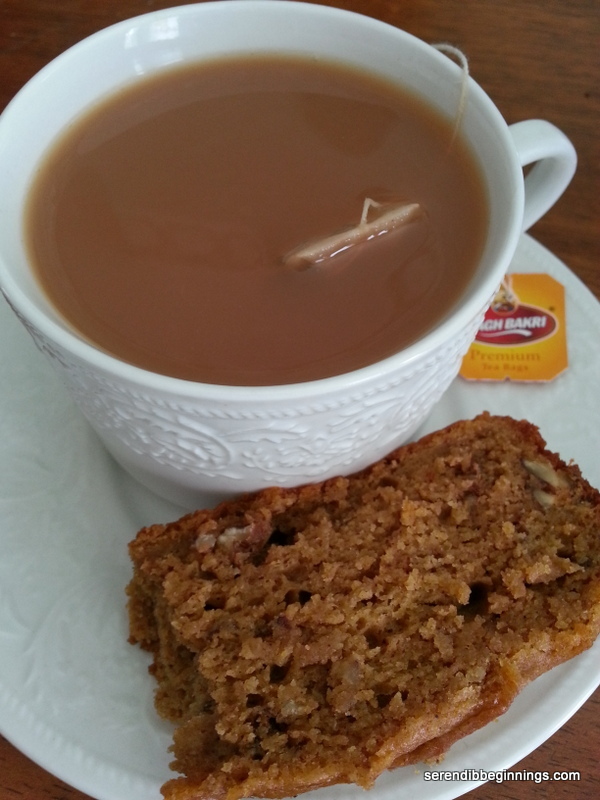 This quick bread has notes of cinnamon, cloves, allspice and nutmeg. Next time, I will also add a bit of ground cardamom for an exotic flair. I replaced half the butter with pureed prunes. This not only reduced the amount of fat, but also added a rich color to the finished product. Also addition of sour cream in this recipe makes the bread very moist. Although my kids usually turn up their noses for roasted sweet potato, they devoured this bread. Certainly a keeper recipe! 1. Preheat oven to 375F. Lightly spray a loaf pan and set aside. 2. 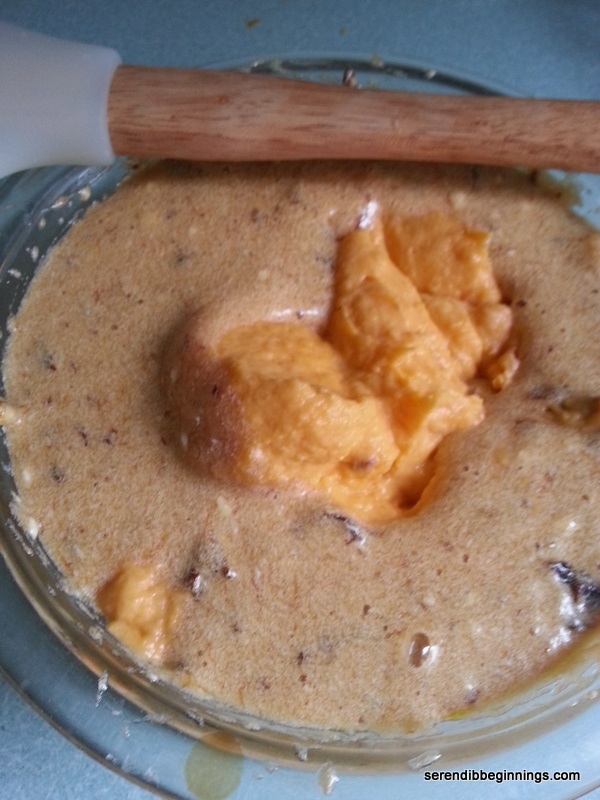 In a bowl, whisk together butter, pureed prunes and sugar. 3. Add eggs, one at a time, whisking to combine. Stir in vanilla. 4. Combine flour, baking soda, salt and ground spices. 5. 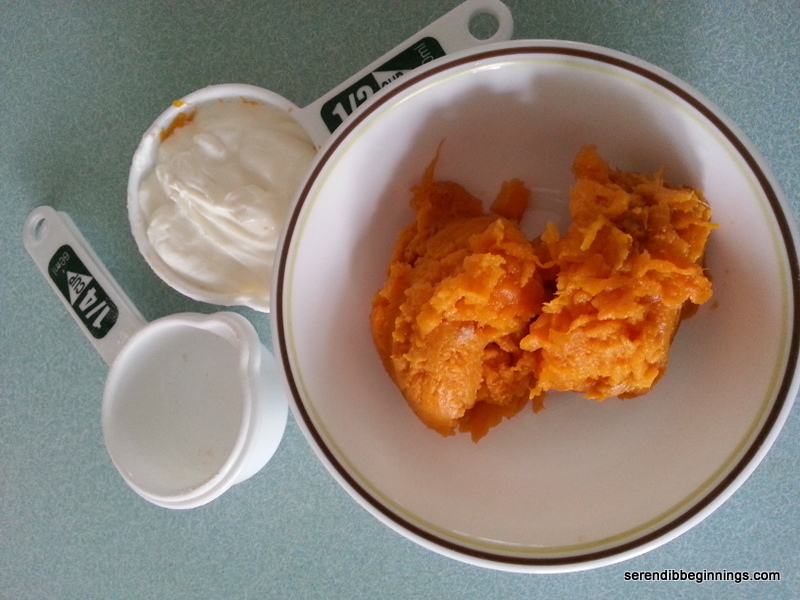 Add the sweet potato and sour cream to the butter mixture. 6. Stir in dry ingredients just until combined. Stir in pecans if being used. 7. Scoop the batter into the loaf pan and smooth out the top. 8. Bake for about 45 minutes, till toothpick inserted in the center comes out clean. 9. Let cool and slice.